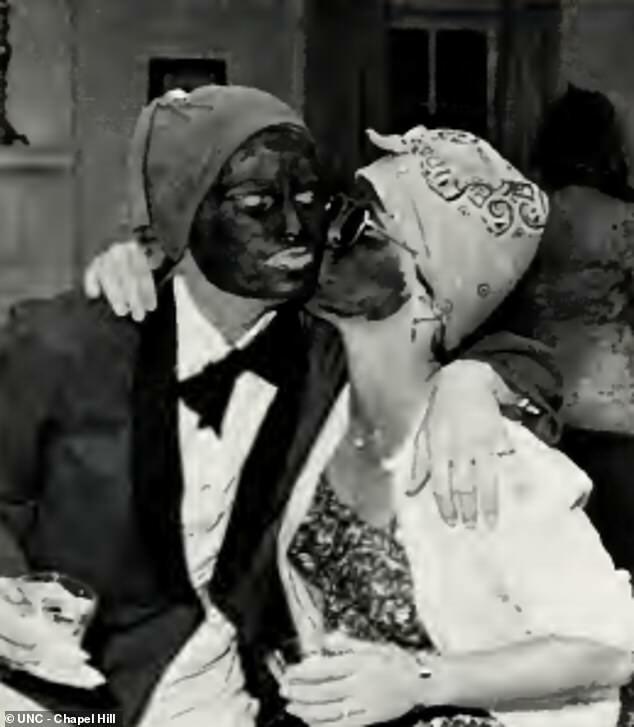 Every time you think you’ve gotten to the end of the Blackface story… there’s yet another plot twist. Right after Virginia’s Democratic Governor Northam’s horrific infanticide video defending the Bill to drop any restrictions on abortion, all Hell broke loose. 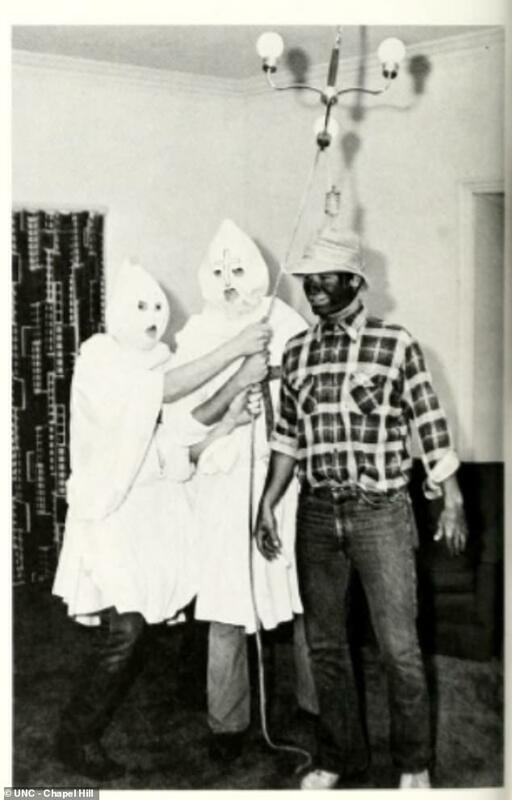 Whether it was a ploy to ‘change the channel’ or destroy someone who had just made himself radioactive (with credible explanations why both parties had motives for taking him out), a blackface/KKK photo on his Med School yearbook page became public. Then came his apology for the photo, followed the next day by an explanation that he wasn’t actually in that photo. But there was this OTHER time that he put shoe polish on his face and did the Moonwalk. Yes, we’re now at the point in history where there’s no daylight between history and parody. Then his #2 — who would be the obvious replacement — faced sexual assault charges. The accuser and the accused are, ironically, BOTH sides using the SAME legal teams that played each role during the Kavanaugh accusations. Their AG (who would have been 3rd in line) ALSO had a blackface problem. He, like the other two, is a Democrat. 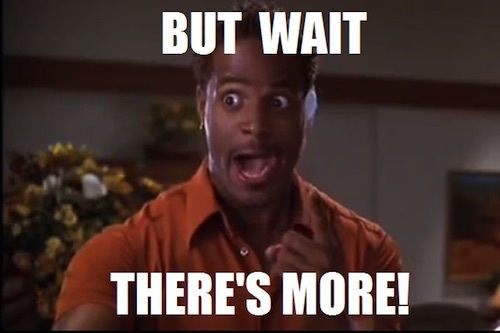 So, what could possibly top all that drama? You’d have to add another state into the mix to do that, right? … just had a page from his OWN yearbook go public. But this one actually depicts lynchings. 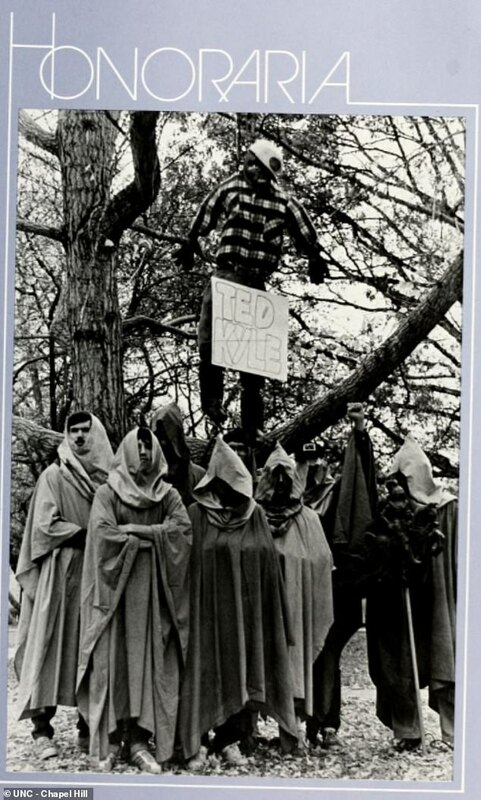 The only thing about the lynching photo that could mitigate how damning it is in ANY way would be the fact that the name on the effigy — Ted Kyle — matches the name of a Doctor who once went to that school. If (and we do say IF) this is referring to the same person, Kyle is white, not black. This doesn’t make it right, obviously. But if there were a black student with that name, this would become a whole different conversation. 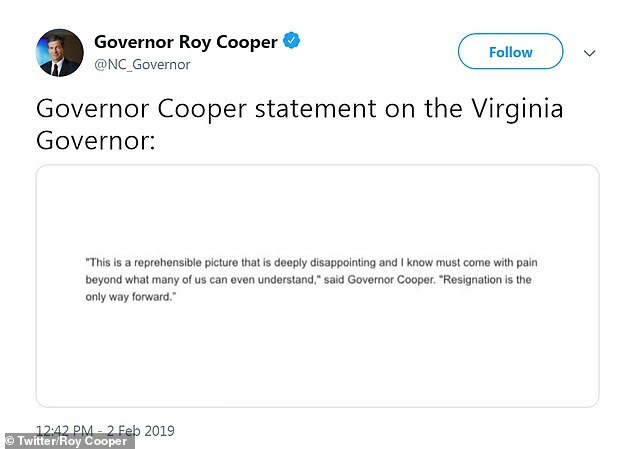 Should Governor Cooper be tagged with the guilt of these sins? That depends entirely on whose rules we are playing by. If we’re all playing by the vicious, unfounded weaponized smears or guilt-by-association that were made so acceptable during the Kavanaugh hearings, and the Russian Collusion case, then what would possibly prevent him from having this mud slung at him? If, on the other hand, we’re playing by the rules of polite society, like we used to, that’s another story. Exculpatory evidence matters. For example, the guys in this photo are from a DIFFERENT Fraternity than Governor Cooper. But don’t they realize this is a monster of their own making? This IS the eventual endgame of the politics of personal destruction. We, on the Right generally, and ClashDaily in particular, have predicted this was coming for a long time. 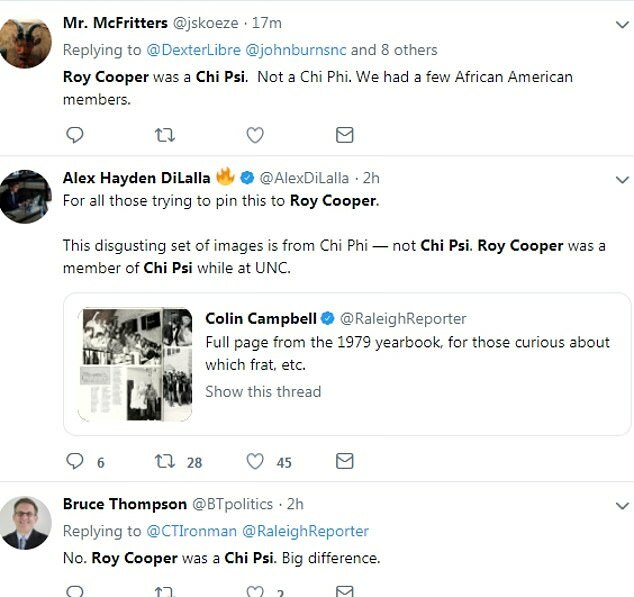 We have no reason to say that Cooper was personally involved in these photos (they’re wearing hoods after all) and it was a different frat with a similar name. 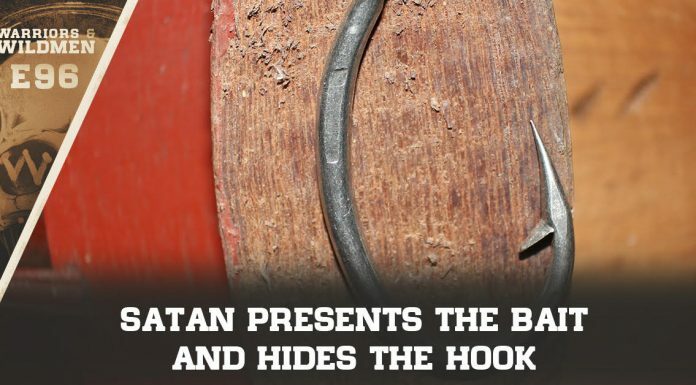 But when there’s blood in the water, nobody sweats the details. Scratch that. ESPECIALLY not the Media(D). Just ask Justice Kavanaugh. Or those who were punished for giving him the presumption of innocence. Just ask the Covington Kids. Or, just ask our own President, Donald Trump, as a NEW wave of investigations is being unleashed on him and his family at this moment. 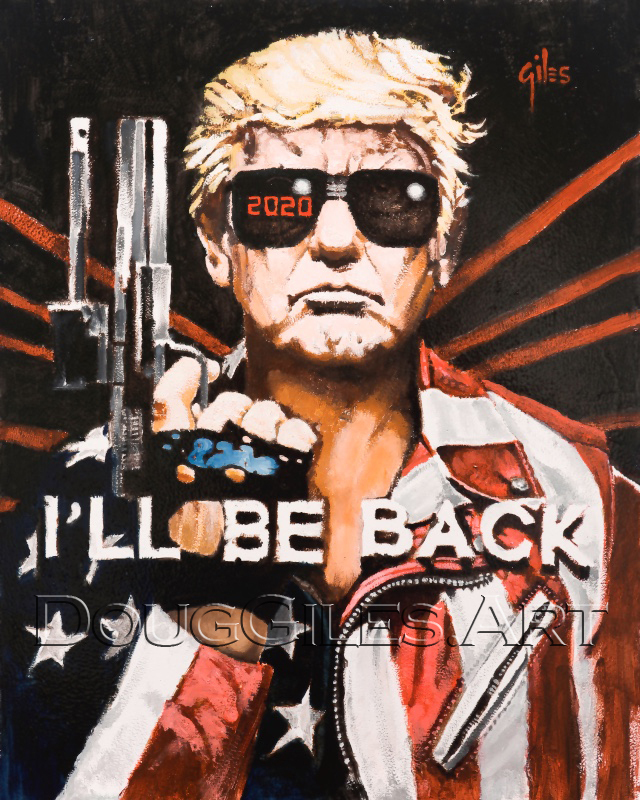 The Left has been weaponizing slander, scandal, and guilt by association to knock political rivals out of running for a long time. And until this weapon starts to backfire and destroy the people cynical enough to wield it, they will continue to do so with impunity. A lie gets halfway around the world, they say, before the truth has time to put it’s boots on. Is the Left ready to stop weaponizing slander? Or do those of us on the right pop some pocorn and enjoy the show as the Weaponized Intersectional Left begin to devour itself? This scribbler would LIKE to go back to the old rules. But I’m also a realist who figures a it will take some big players falling to friendly fire before they start to think Mutually Assured Destruction is threat enough to reign in the madness. In the meantime, I’m off to make some popcorn.